Sigma today officially announced that the Sigma 50mm f/1.4 DG HSM Art and Sigma 85mm f/1.4 DG HSM Art for Sony E mount are scheduled to start the shipment in May, 2018. In addition, the release date of Sigma 70mm f/2.8 DG Macro Art FE lens is not determined yet. Sigma 14mm f/1.8 DG HSM Art Lens for Sony E: $1,599 at B&H, Adorama. Sigma 85mm f/1.4 DG HSM Art Lens for Sony E: $1,199 at B&H, Adorama. 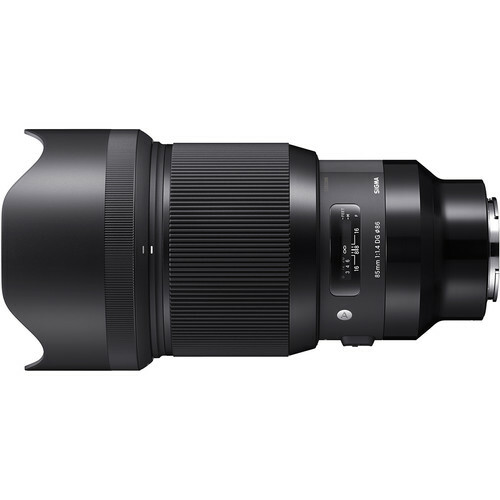 Sigma 135mm f/1.8 DG HSM Art Lens for Sony E: $1,399 at B&H, Adorama.